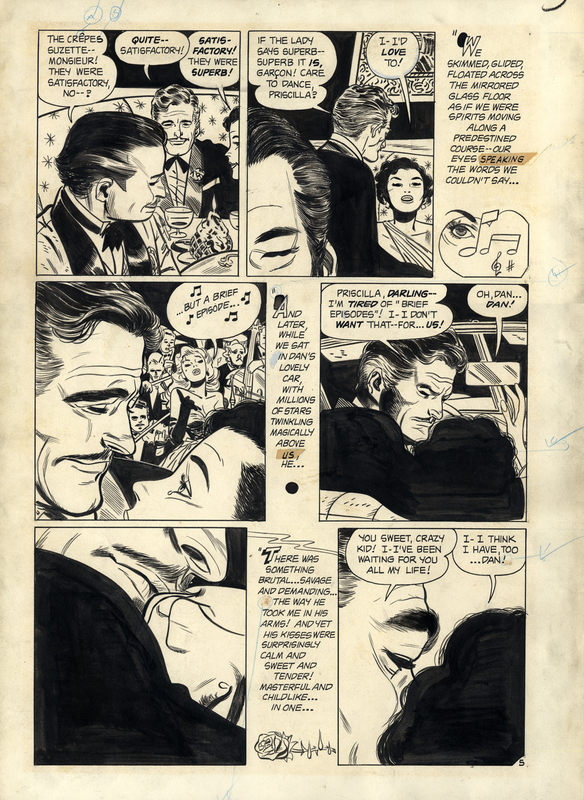 This page is one of Toth's pages , inked by Mike Peppe, for Standard's "New Romance" (or, perhaps, "Intimate Love") comics magazine (I assume). I recall seeing a reprint of the story this in from in the late 80's from either Eclipse, Dragon Lady Press, or Caliber. The story was about a young women being vied for by 2 men, one her own age, the other, seen here, old enough to be her father. Toth is indulging his love of Errol Flynn in his character design of the elder suitor. 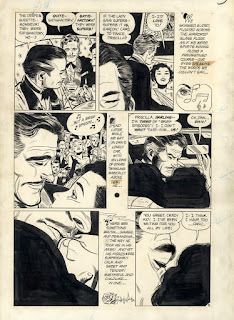 He is also getting simple in a big way; the entire page is "shot" in looming close-ups with small, telling background details depicting the setting and mood. This is one of my favorite pages that I own.